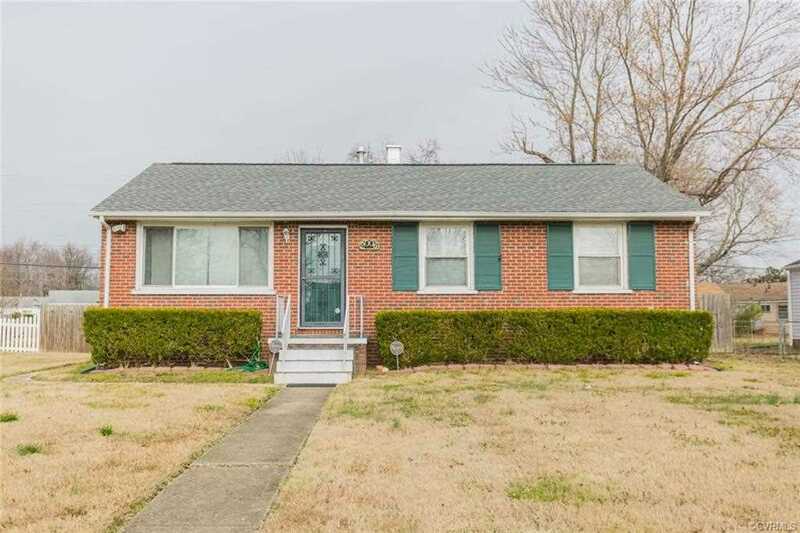 Cute brick ranch home close to downtown and just minutes from I64. This 3 bedroom home has beautiful hard wood floors throughout, eat-in kitchen and a large fenced rear yard including oversized block shed. Ready to move into! SchoolsClick map icons below to view information for schools near 2006 Cleary Rd Henrico, VA 23223. Listing provided courtesy of Clocktower Realty Group. All or a portion of the multiple Listing information is provided by the Central Virginia Regional Multiple Listing Service, LLC, from a copyrighted compilation of Listings. All CVR MLS information provided is deemed reliable but is not guaranteed accurate. The compilation of Listings and each individual Listing are ©2019 Central Virginia Regional Multiple Listing Service, LLC. All rights reserved. Listing Information Last Updated 4/26/2019 3:45 AM. Home for sale at 2006 Cleary Rd Henrico, VA 23223. Description: The home at 2006 Cleary Rd Henrico, VA 23223 with the MLS Number 1904056 is currently listed at $144,950 and has been on the Henrico market for 74 days. You are viewing the MLS property details of the home for sale at 2006 Cleary Rd Henrico, VA 23223, which is located in the Central Gardens subdivision, includes 3 bedrooms and 1 bathrooms, and has approximately 1006 sq.ft. of living area.